If you are unsure of where to start, what direction to go in or just need some guidance feel free to give Cathy a call for your free consultation. Planning for a wedding is an incredibly exciting time; however there are countless details that go into making this once-in-a-lifetime event run smoothly. 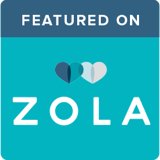 With a busy career and personal life, it can be difficult for couples to find the time and resources needed for such a task. 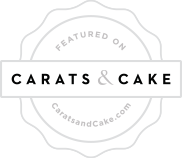 Cathy’s Elegant Events has the knowledge and know-how needed to locate the most reputable vendors, negotiate prices and contracts, handle the countless details, and greatly reduce stress throughout the planning process. Most couples advise that hiring a wedding planner was the best wedding-related investment they made. We are thrilled to be able to help save you time and money (as well as your sanity) in order for you to spend your time enjoying the day! Still not sure, Take The Quiz! How far in advance can I meet with CEE to discuss my upcoming event? It depends on the month of your event, but anywhere from 14-24 months in advance is advised. Since we only take on a limited number of events each month, our schedule fills up fast. Your date may still be open, so please contact us today to check our availability. We need a minimum of 5 weeks before your wedding date for Day of Coordination services. We don't contract Wedding Planning Services until a venue is chosen (because that can effect the complexity of the wedding), however we do offer A La Carte options to help you choose a venue. No. Our initial consultation is complimentary. This is a chance for us to get to know each other and see if we’re a good fit for one another. We see the bigger picture. When planning a wedding, it can be incredibly easy to become overwhelmed in the minutia of details. Sometimes the bigger picture can get overlooked. “OMG, I was so focused on the invitations and linens, I forgot to order the flowers!” (I (Cathy) have actually heard that from a bride before). We are here to help you take a step back and focus on the details AS WELL AS the bigger picture. We will make sure you are concentrating on what you need to be at any given point in the planning process, not forgetting anything and not exerting energy on something that doesn't need to be thought about for 6 months. We are the intermediaries. 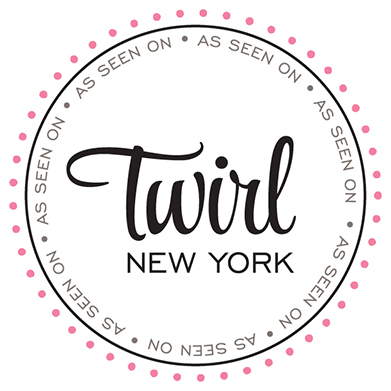 We are there to track if vendors show up, centerpieces arriving on time, directing guests, setting up and all the other details of the day so you don’t have to worry. We are the secretary. We create, organize and keep track of timelines, budgets, setting up appointments, organizing vendors and their contact information; and we even help with contract language. We are a neutral party, a therapist and sometimes mediator. It doesn’t matter to us if Aunt Sue hates our guts because we didn’t use her book club friend’s cousin to make the favors! 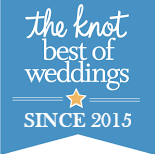 We are here for YOU to give you exactly what you want on YOUR special day! We are your risk mitigators. You should be able to relax and enjoy your wedding day. It’s much harder to do that when you have a million people running up to you with questions and mini disasters when all you are trying to do is enjoy every moment of this once-in-a-lifetime experience. Our job is to handle the questions and mini disasters for you, and make sure you have as many happy moments as humanly possible. We have access to the best vendors in the area. You may think, well why would I hire a wedding consultant to contact this vendor when I can just do it myself? The answer is simple. Vendors need referrals (just like anyone else in the service industry), and some are even willing to offer you a discount for those referrals. 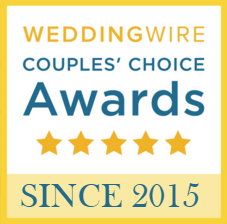 With the money you save on the discounted photography package or floral arrangements, or even just the time saved in calling around, comparing prices, reading reviews and checking availability, hiring a wedding consultant practically pays for itself! We keep your best interests in mind. Did the rainy weather ruin your beautiful outdoor setting? We helped you come up with a just as beautiful indoor back up plan months ago, which now can be put into action without you needing to think twice. Did a bridesmaid’s zipper break? We can sew her up! Did you forget to buy a knife and server set? We've got your back. Your happiness is our number one priority and we will do whatever it takes to turn your dream wedding into the wedding of your dreams! What separates you from other wedding planners? 1. We offer customized packages to each of our clients... This means I'm not an "all or nothing" style wedding planner. Maybe you only need help with designing your wedding and locating the appropriate vendors to execute your ideas, or maybe you JUST need a little help creating a shuttle schedule. We will plan to perfection as much or as little of your wedding as you need, and price our services accordingly. 2. We specialize in non-traditional venues. This means we have spent years planning weddings and events in barns, warehouses, tents, back yards, wineries and all sorts of other 'outside the box' locations. We have had seen it all and understand every detail that needs to be thought of, planned for and executed properly for a wedding/event to go off without a hitch. Then we are there with our years of experience and colossal emergency kit the day of the wedding so you don't need to worry about a thing! 3. Most importantly, We focus on quality- not quantity. We enjoy spending our time working with you while perfectly executing and personalizing your wedding, rather than hurriedly planning dozens and dozens of "cookie-cutterl" events. We feel a deep sense of pride, accomplishment and happiness when we watch our couples enjoying one another on their wedding day instead of stressing about the details. Not only does every couple deserve to make their dream wedding into the wedding of their dreams; but they also deserve to enjoy it! The best part of our job is making that happen. What's the Difference Between a Wedding Planner, Wedding Consultant, Wedding Coordinator & Event Designer??? Great Question! This is the age old question that still confuses clients & even wedding professionals around the globe. We'll allow BRIDES to break this down for you (from BRIDES: Wedding Planner? Designer? Coordinator? What’s the Difference?). At CEE we offer Wedding Planning, Coordination and some Design services depending on your needs. This varies depending on what type of services you hire CEE to help you with. 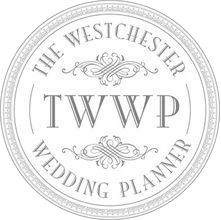 Full or Partial Planning Services include 'check-in' calls which are scheduled weekly, bi-weekly or monthly depending on where we are in the planning process; while Month of Planning you will hear from us every couple of months leading up to the wedding, then daily in the weeks prior. No matter what you choose, we are always available to you to answer questions or concerns throughout the planning process. We have a personal policy to respond to all emails and phone messages in a timely manner. Cathy will personally respond to all messages within 48 business hours. How will you and your staff be dressed for my event? We will wear professional, comfortable & dressy attire for every event, unless asked otherwise (i.e. black tie events).